CfP special thematic dossier "Queering the city: spatiality and territoriality of LGBT lives in the cities of Southern Europe and Global South"
- Pre-proposals (abstracts, max. 300 words) may be submitted by e-mail to the dossier editors (pedro.costa@iscte-iul.pt and samei@iscte-iul.pt) until 15 May 2019. Guest editors will give feedback to authors about these abstracts until 31 May 2019. 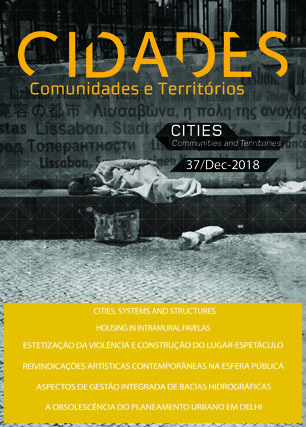 Read More Read more about CfP special thematic dossier "Queering the city: spatiality and territoriality of LGBT lives in the cities of Southern Europe and Global South"